Topic: Aeronca Sedan Gallery: 200+ Airframes! 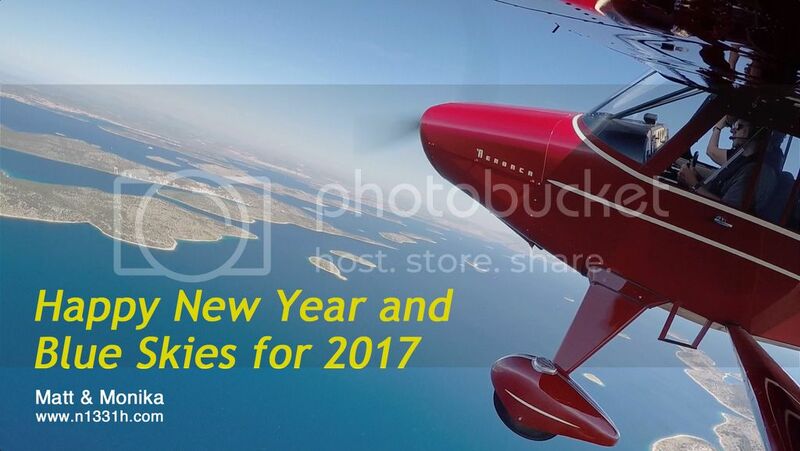 Topic: Happy Flying in 2017! Re: Happy Flying in 2017! We live in Switzerland, but the picture was taken above the Croatian islands (southeastern Europe) on a flying trip in 2015. That was our first time flying wearing lifejackets. Great, thank you very much, John! A real picture for a change, instead of another crazy Photoshop fantasy. Taken above the Croatian islands in the Adriatic Sea in 2015. Hi John and apologies for the late reply. Sounds like an interesting solution. Would you mind posting or emailing a photo of the installation? Topic: Main power/starter relay failed? Re: Main power/starter relay failed? Let me know, if it worked out. Otherwise, I will check what type of relay I have in N1331H, next time I am at the hangar. Topic: LED or HID Landing & Taxi Lights? for posting the pictures! It's almost like walking through the lines of Aeroncas myself. Hope, you all had a great time at Middletown 2016!